Nicholls & Davies wearing their first Welsh caps. William “Barry” Davies (1875-1956) was born and lived in Cardiff but worked in Barry at the time he played for Cardiff. 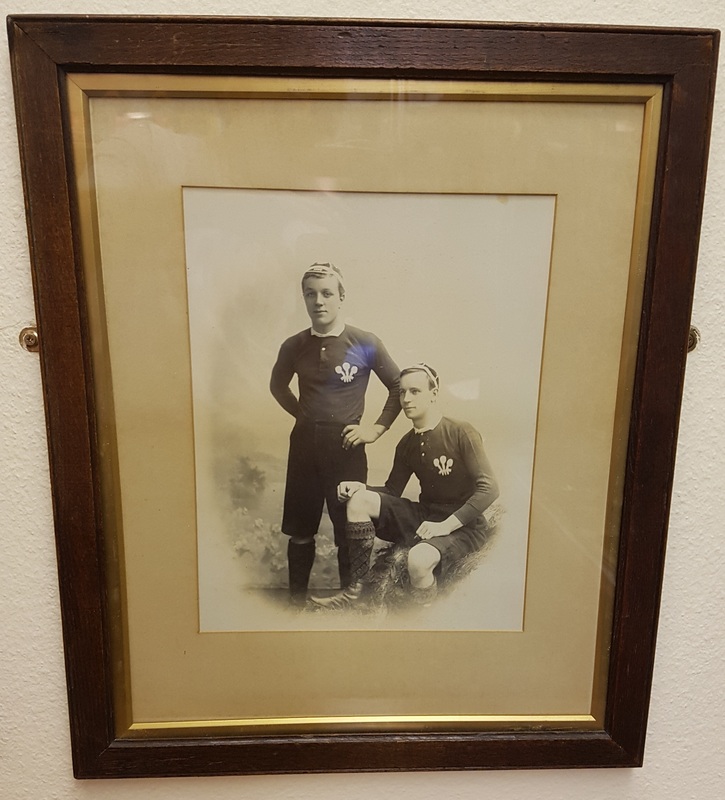 He was given the nickname “Barry” to distinguish him from two others with the name “W Davies” playing for the club. Barry first played for Cardiff Star and later for Barry. He joined Cardiff Reserves in 1894-5 and played 29 First XV games in 1895-6. He was capped at forward by Wales against Scotland at Cardiff in January 1896. Wales won 6-0. This was also Gwyn Nicholls’ first international, so the two Cardiff players winning their first cap that day were photographed together. Shortly afterwards, in August 1896, Barry Davies joined Leeds in the Northern Union.